When you are working either in your own little home office or the real corporate office you will surely need a printer to see the results of your hard work. Our need for printers varies depending on our requirements, volume of work, field of business and how much we’re going to spend on it. There are several factors and tips on how to determine which printer is right for our family or for our business. We should take note of the type of documents we normally print whether we need it for documents, pictures or various kinds of graphics. Others need a simple one for printing payroll, vouchers and other documents that can handle continuous forms. Determining variety of functions is also very important as there are various printers that offer multi-function performance for our home and office needs. 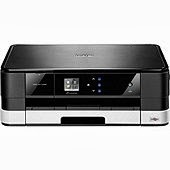 There is single-function printer that functions as a printer only and there are all-in-one printers that can be used not just for printing but for scanning, copying and sending fax as well. We must know how the printer can serve us better, faster and more efficiently by knowing how many pages it can print per minute or what we call PPM (pages per minute). If you’re working on large volume of printing like my company who makes proposals and project reports this factor is very important in meeting and beating our deadlines. Of course with all of the required specifications above one of the most important is the quality and resolution of the output printout. We should be able to know the highest resolution it can deliver for our documents and graphics. There are various printers available in the market and we can choose if we want to use inkjet cartridges which has smaller capacity or LaserJet cartridges which last longer and can be used for big volume of printing needs. On the other hand we can also choose a printer that can hold letter, A4 and legal size papers only or one that can print even up to A3 paper. This is usually required for design plans and drawings plotted on AutoCAD. 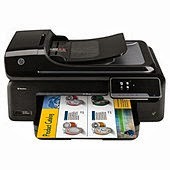 Printer cost matches up to its specifications so the better and more functions you want the more expensive it gets. It also corresponds on functionality and durability so for office use it’s advisable to invest on a laser printer which can give you valuable output and savings on every page you print. Well it all depends on your preferences, requirements and financial budget and we can always choose from other brands that offer affordable but quality printers. Important thing is you must look for specifications carefully, ask for expert’s opinion and request a product demo before buying your printer.